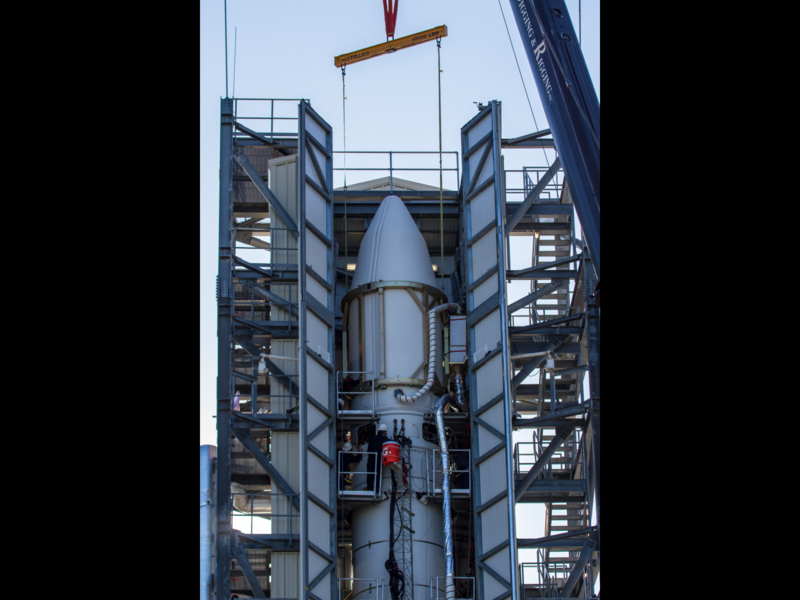 If you’ve been missing your lunar reconnaissance instruments since the GRAIL impact, you might find some relief through the upcoming launch of the Lunar Atmosphere and Dust Environment Explorer (LADEE). Don’t get too attached to LADEE’s instruments, though—this mission will only last about 160 days. The mission team has allowed thirty days travel time (from Earth to lunar orbit), thirty days for positioning and shake-down, and 100 days for science. My first reaction to the LADEE project was, “Whoa. You mean we don’t know that already?” Many people feel that the Moon is old hat, a been-there-done-that kind of place. But it turns out we don’t really know much about out closest neighbor, despite the success of the Apollo missions. Did you know that the Moon has an atmosphere? 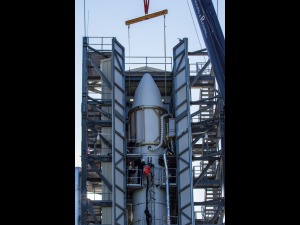 Three of LADEE’s science projects (the Ultraviolet and Visible Light Spectrometer; the Neutral Mass Spectrometer; and the Lunar Dust Experiment) will be studying it through spectral and particle analysis. The fourth component of the payload, the Lunar Laser Communications Demonstration, revolves around a search for a faster means of communicating in space. If conditions are right, I should be able to see the LADEE launch Friday, September 6, 2013. More correctly, I should be able to watch the launch vehicle (a Minotaur V) streak across the tree tops at T+90 seconds, give or take a few seconds. 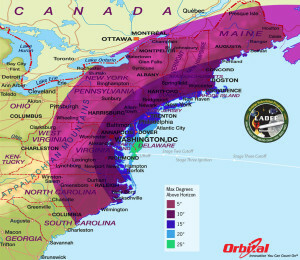 The launch window opens at 11:27 p.m. EDT and LADEE will be leaving Earth from the Wallops Flight Facility in eastern Virginia. 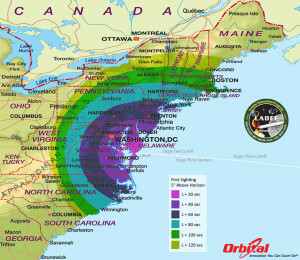 If you’re on the east coast between North Carolina and the Maritimes, with an open view to the east-north, you might be able to see the rocket. If you fancy a trip out to Wallops, you can find a list of public viewing sites here. ETA: I forgot to tell you that you can follow LADEE on twitter at https://twitter.com/NASALADEE!